Tonight is a very special day. You not only get to experience a Lunar Eclipse, it will also be a Super Moon Lunar Eclipse! Also known as the Blood Moon, a total lunar eclipse occurs when the sun’s rays are completely blocked from the full moon. Though blocked by the earth, the rays still get to light the moon giving it a red/ bloody color. As you can imagine, all these conditions are hard to come by all at the same time. For this reason, the last time this happened was in 1982 and if you miss it tonight, it will happen again in 2033. The eclipse happens at the same time all over the world. What this means is that though the rare occurrence is to take place tonight in America and Canada, it will be visible early tomorrow morning in Africa due to the time difference. 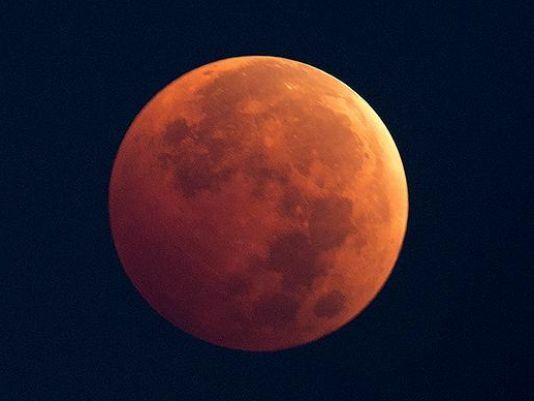 The blood moon will last for 1 hour and 12 minutes and can be viewed in Nairobi from 3:11 am to 6:23 a.m tomorrow morning.